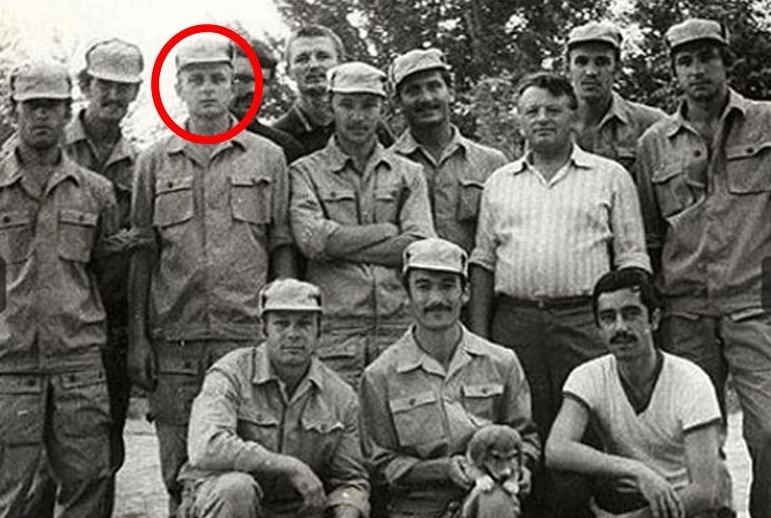 Colonel Aleksandr Poteyev (circled), Садулаев in the middle of the front row, with the dog. M.N. : The symbolism or the symbolic message of this attack appears to be clear: “The US is like a truck speeding down the bicycle lane with its anti-Russia sanctions (recently expanded against the Russian military-intelligence complex and signed by Trump after four weeks delay), killing the “innocent victims” (of these sanctions) along the way, and then brandishing two toy (or false) guns: apparently the reference to the two recent indictments of Paul Manafort and Rick Gates by the Mueller’s Investigative team. It also contains a threat, just like all the other episodes of this kind, of the future attacks and calamities.